In a marketer’s ongoing search for higher search rankings on Google, many find that their solution lies in SEO. While the processes needed to improve SEO have typically been applied separately from content marketing, now SEO and content marketing are working hand-in-hand, with high-quality content creation helping a website have higher search rankings. Good online content naturally captures the attention of both online searchers and large, respected websites. This leads to greater traffic, more links to trusted outside sites, and higher credibility for the website. And all of these elements can increase a site’s rankings even more since Google gauges all of these factors when ranking websites in search. 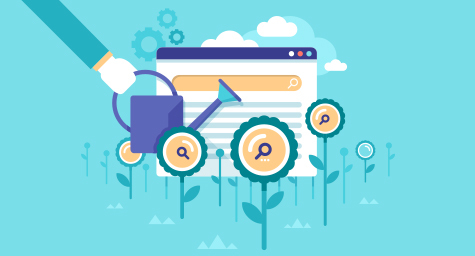 To help marketers leverage content for SEO, Inc.com shared four secrets for creating the higher-quality content that leads to higher search rankings. Search engines rank websites by their value, with the most valuable site ranking highest. A website with little traffic, weak links, or in need of updating tends to be overlooked and poorly ranked by Google. Yet websites that produce and post high-quality, authoritative content will gain better links and more traffic from respected websites. As a result, the site will capture more online attention and its SEO ranking will naturally rise. To increase a website’s rankings, sites must feature well-researched, authoritative articles that appeal to readers, pique their interest to learn more, and encourage social sharing. And the content must feature high-quality links to outside content on highly credible websites. All of this will lead to higher search engine rankings, which will drive greater traffic and boost a site’s rankings even further. When it comes to content, short is no longer sweet. Today, longer articles tend to benefit from more links and a greater number of long tail keywords, which can help maximize an article’s reach. While some marketers worry that longer articles may not accommodate online users’ short attention spans, longer articles with high-quality content are actually welcomed by readers as long as the content is relevant and valuable. Did you know that creating socially shareable content naturally boost all the metrics used by Google to gauge a website’s value? And today, most SEO experts believe that social engagement is the top metric connecting social media and search engine rankings. To leverage social engagement for search rankings, companies need to strengthen their overall social presence by regularly posting authoritative content on social media platforms. This will allow them to continually reach followers, gain more exposure for content, and increase their credibility. As a result, they’ll rise higher in Google rankings. Stay up to date on what matters in SEO. Contact MDG Advertising.